Two new linking devices from Rockwell Automation provide PlantPAx process automation system users with connectivity to FOUNDATION Fieldbus devices. 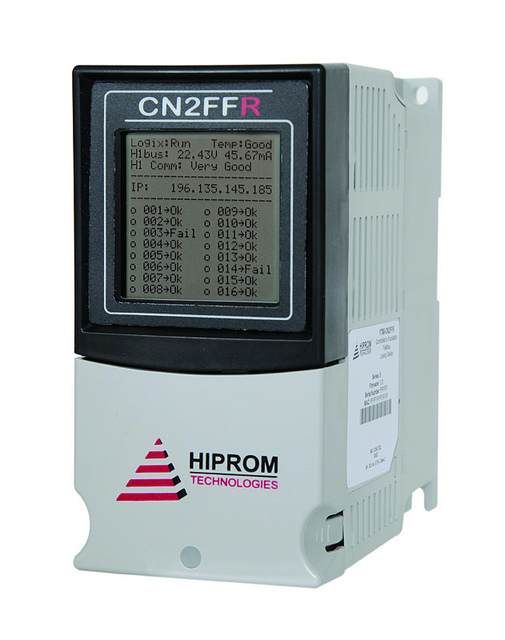 The Allen-Bradley 1788-EN2FFR and 1788-CN2FFR linking devices provide a direct link from EtherNet/IP or ControlNet networks to the FOUNDATION Fieldbus H1 device-level network, making the integration of FOUNDATION Fieldbus devices intuitive and seamless. At our press conference at Achema yesterday, the Fieldbus Foundation announced the wired and WirelessHART portion of the ROM specification, which allows HART and WirelessHART® devices to be represented in transducer blocks in FOUNDATION fieldbus. This is the second of four major release phases in the ROM specification. The Remote I/O specification (RIO) specification was released last April. The next two phases to be released are the ISA 100.11a specification, which should be released by the end of the summer, and the HSE Wireless Backhaul network specification (release date to be determined). The Fieldbus Foundation’s FOUNDATION for ROM initiative is intended to develop a unified digital infrastructure for asset management in remote applications ranging from tank farms and terminals to pipelines, offshore platforms, and even original equipment manufacturer (OEM) skids. The technology enables fieldbus connectivity to remote I/O and the leading industrial wireless protocols, including WirelessHART® and ISA 100.11a. It provides an interface to these wireless technologies and uses Electronic Device Description Language (EDDL) and function blocks to ensure interoperability with FOUNDATION for ROM devices. 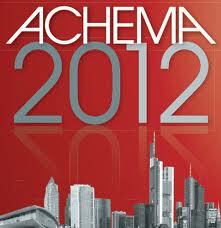 FOUNDATION for ROM is Online at Achema! Our FOUNDATION for ROM display is up and running at the Achema show in Hall 11, on the “Via” level between the first and second floor, right near the NAMUR/ARC/ZVEI Automation Dialog forum. We invite you to come over and see what we are doing with FOUNDATION for ROM, including integration with WirelessHART, ISA 100.11a, wired HART, and conventional remote I/O. You can also see some of our supplier partners in the booth, including companies like FINT, APAT, Yokogawa, Emerson, Endress+Hauser, Pepperl+Fuchs, Phoenix Contact, Invensys, Honeywell, and more. We also have a press release scheduled from 11-12 AM in the GRANAT room. Our FOUNDATION Certified Training Program (FCTP) partner Southern Alberta Institute of Technology (SAIT) has allowed us to upload a nice video to the FOUNDATION fieldbus YouTube channel that provides a good view into the SAIT fieldbus training center and their training capabilities. We love to show off our FCTP partner training capabilities, because we spend a lot of time auditing and certifying our FCTP partners to make sure their programs consist of a certain level of quality and consistency. We audit the institution, the instructors, and the curriculum. We take training seriously and so does SAIT! 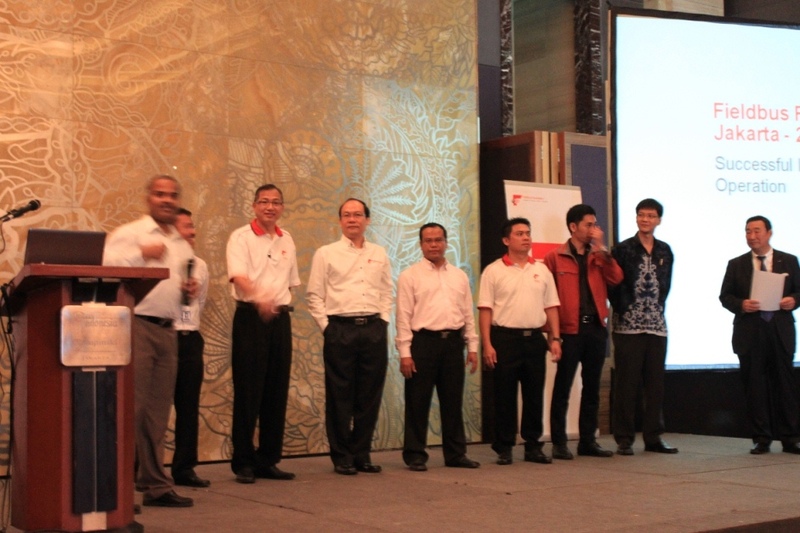 The Fieldbus Foundation conducted an end-user seminar in Jakarta Indonesia May 23rd, from 9 AM to 5 PM at the Kempinski Grand Ballroom D, 11th Floor, West Mall, Grand Indonesia Shopping Town. In this year’s update, users got to see how the latest technology enhancements have made fieldbus much easier to use than it was in the past. For instance the new “compatibility revision” feature has made device replacement much easier, by eliminating the need to touch system software to make device replacement. The new “new download list” feature has made configuration download hassle free as errors and retries of the past are eliminated. Perhaps even more helpful is the “device level access” feature in enhanced EDDL (www.eddl.org), which organizes and displays all device information according to tasks, thus making configuration/setup, diagnostics, and calibration of fieldbus devices much easier. The fieldbus experience is also greatly enhanced thanks to the new Host Profile Registration, which is a new and more system test to ensure control system and intelligent device management software complies with the fieldbus standard. An important external factor brought about by our daily personal life is that most people are now familiar with software, the internet, and smart phones in a whole new way. This was alien to many in the early days of fieldbus. Therefore, using a computer to connect to a smart device, to download music, applications, and synchronizing with the computer through a digital connection is natural. Now that technicians are familiar with computers and smart devices, the environment for digital fieldbus is right. Configuring, troubleshooting, troubleshooting, and commissioning devices from a computer, as well as downloading DD files, and synchronizing (downloading) device configuration is now intuitive and familiar, and to many the obvious first choice. 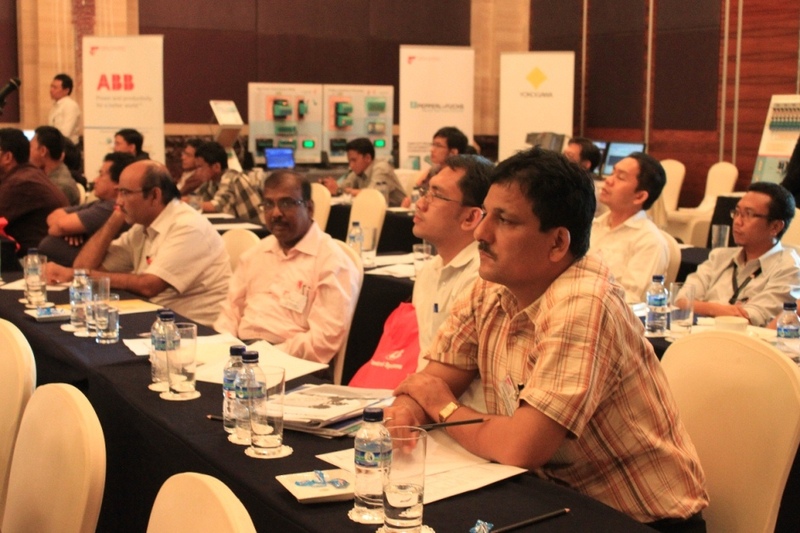 Fieldbus Experts Gather in Indonesia! FOUNDATION fieldbus benefits are now much easier to achieve and sustain than in the past. For instance the drastic reduction in wiring, particularly for complex devices each having multiple control and feedback signals such as electric actuators, control and on/off valves, etc. Or, tighter PID control with lower process variability. As well as diagnostics for predictive maintenance of on/off valves, gas chromatographs, and inventory tank gauging systems along with other instrumentation. The other good news is that plants which already have fieldbus systems can benefit from the technology enhancements next time the system is upgraded, thus making the system easier to use. These systems can also make use of the new innovative fieldbus products which have become available, such as intelligent two-wire on/off valves, field mounted shelterless gas chromatographs not requiring sample lines, eight input temperature transmitters, and two-wire inventory tank gauging systems. 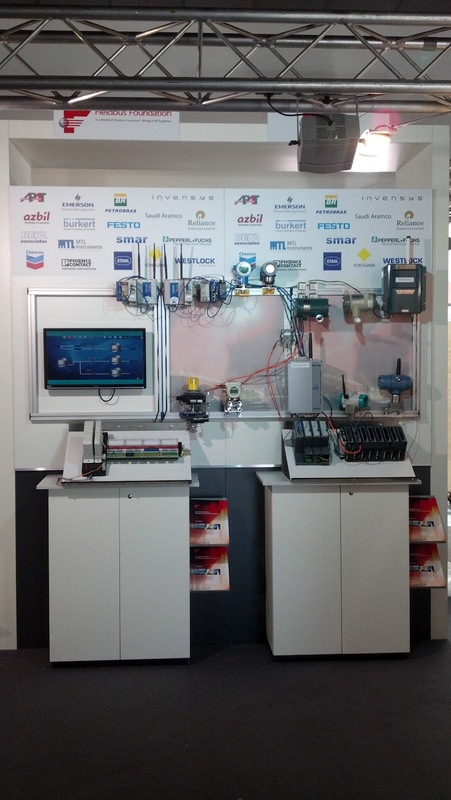 The 120 registered end-users also had a chance to see fieldbus equipment from thirteen manufacturers including ABB, Azbil, Emerson, Honeywell, MTL, Pepperl+Fuchs, Rockwell Automation, Stahl, Turck, Yokogawa, Leoni-Kerpen, MooreHawke, and Vega. The presentation material from the event is available on www.fieldbus.org.sg. There is an excellent post by Emerson Process Experts blogger Jim Cahill on the use of FOUNDATION fieldbus in life sciences applications. In this case an end user applied the technology to Broadley-James Bionet bioreactor control systems. It’s not something we discuss enough in the fieldbus community, but we have a huge installed base in the life sciences industry. Many aspects of FOUNDATION fieldbus make the technology a great fit for batch and hybrid applications in the regulated industries. “Automation is not something within the normal realm of biochemists in the lab environment. The palettes of tools within the DeltaV system around control and information is something that streamlined the prior workflow. This was especially the case around trending and historical data reporting.